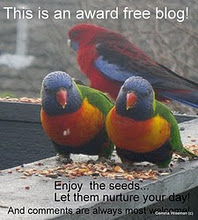 This entry was posted in Health, Justice and tagged Gratitude, healthy body, Justice. Bookmark the permalink. Good to see you back – and thanks for the link to Laughing Cow. I used to follow her, then lost her. Glad to see she’s a survivor and hope she pulls through this last disaster safely. Apparently, Elizabeth hasn’t been posting on the blog very much and so I was glad to see her back, but not glad to read of the accidents. I linked the two posts because both dealt with vulnerability. Thanks for commenting, Cat. Hi Darlene. Words and many of them, but wisdom? Thanks for commenting. Welcome back! I’m glad to know you are well and planning to write again. Hi, Lady E. Sorry about the confusion over your name. I thought the two posts went together showing our vulnerability in these ways. Best wishes for your recovery. You’re right Judith, I really the way that you saw this thread in the two posts. I was thrilled to see your post in my feed ! Welcome back. I can’t wait to read more of your wisdom! Hi Beth Ann and thanks for your lovely comment. I’m not promising a daily post but who knows? How nice to find a post from you this afternoon! I will check out the two blogs you mentioned. I too have been watching the hearings with mixed feelings. We shall see where it ends. Is this what the US has come to? Take care, Judith! Thanks for the comment Jo Nell. The hearing, while mesmerising, have been hard to sit through even if one is not involved. Hello, again Uta. I hope you are both well and looking forward to a long lazy summer. We are going to see an explosion of accusations in the US that will be overwhelming and astonishing. The news scene is going to get very ugly. May the true predators be exposed and punished and God help the falsely accused. I am a falsely accused victim by ex on my own very young child. Exonerated but 34 years of pain every day since. Oh, Carl, I am sad to read of the false accusation against you. It must surely be difficult to live with day by day knowing the accusation was false. I am pleased to read you were exonerated. Cheers.